LG has consistently released similar entry to mid-level market smartphones to the public through various carriers. The Enlighten is yet another addition to their line up, aiming at the same audience. But does it have what it takes to enlighten its customers or does it get lost in the dark? Verizon has been pushing hard for faster, stronger, 4G LTE smartphones, but they haven't forgetten about the people who either can't afford the more expensive smartphones coming out, or aren't interested in the most high-end technology. 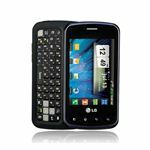 The LG Enlighten is Verizon's answer for the mid-level market looking for a decent 3G smartphone with a physical QWERTY keyboard. 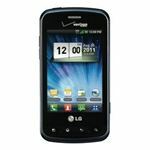 While it is not the most powerful smartphone on Verizon's network, it is powered by Android, 3G enabled and comes in at an affordable price of $79.99 with a 2 year contract. The LG Enlighten has the run of the mill design found on other smartphones and doesn't really add any extra flair or design cues. It has the usual candy bar design in black with just a gray chrome rim surrounding the edge of the display. Dominating the front is a 3.2 inch LCD touch-screen display. Below are the shortcut keys for menu, home, back and search, which is the usual layout found on Android smartphones. The volume rocker and microUSB are located alongside the left edge. The right edge has the dedicated camera key. Up top is where the power / lock and 3.5 mm headphone jack are located. Rounding out the back is a 3.2 megapixel camera. The springloaded physical keyboard underneath the display slides out with a slight touch, similar to the LG Ally. With the keyboard slid underneath the display, the Enlighten does look like a slightly thicker LG Vortex, which can also be found on Verizon's network. The 800 MHz processor that powers the Enlighten is a bit of a disappointment, as it does lag here and there. 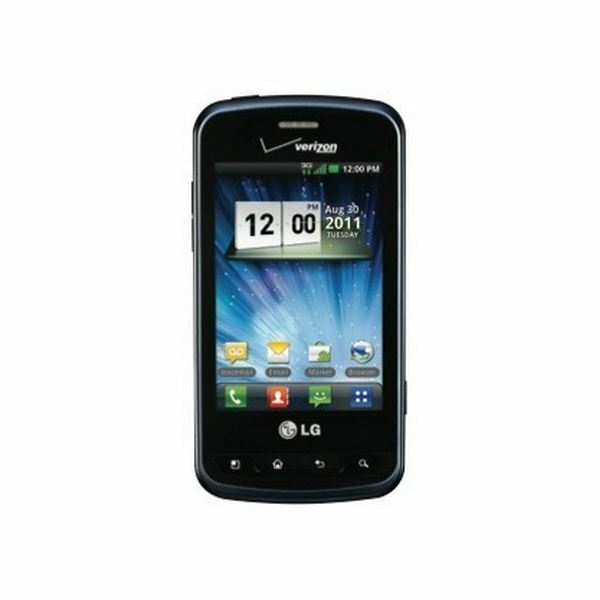 It's very reminiscent of the LG Optimus series that was released earlier through other carriers. For the price, however, the lag is to be expected and for an entry level smartphone, it acts like one. The call quality was decent for incoming and outgoing calls, with just a slight distortion here and there. The data speeds were also decent and with Verizon's wide coverage, the 3G network could be connected to in just about any location. The 1540 mAh battery is a good addition to the smartphone and helps it last a fairly long time. The LG Enlighten was able to last around two days with regular usage. The Enlighten comes preloaded with Android 2.3, and the Optimus UI, which is LG's own overlay running on top. The overlay is not very obtrusive but it is noticeable over Android. It adds a bit of color on top and has an app drawer that is exactly like the one found on the LG Revolution. There aren't as many widgets available on the Enlighten, however. The physical keyboard is actually quite decent, with each key being very responsive and easy to feel around for. The only negative is that the keys are a little too close together so accidentally clicking the wrong keys does occur from time to time. There is a dedicated row of numbers up top which is always a welcome addition for physical keyboards. The 3.2 megapixel camera that comes with the smartphone is decent, though not the best, and it most likely won't be able to replace a separate digital camera. Pictures with plenty of light come out decent, though slightly dull, but pictures indoors, with less light actually come out slightly fuzzy and less detailed. The dedicated camera button is a welcome addition and helps to take pictures, but with the camera itself being average, it is hard to take great pictures. The video recording also leaves a bit to be desired. It can only record at VGA 640 x 480 resolution, at 20 frames per second, which basically amounts to jerky video. Video recording on the Enlighten is not really an enlightening experience. It is a reminder that the smartphone is a cheaper smartphone and that it doesn't have the latest and greatest. Overall the Enlighten is an 'Average' smartphone for the price that it's being offered at. It has the elements of a powerful smartphone but doesn't really have the specs or the abilities to really be one. 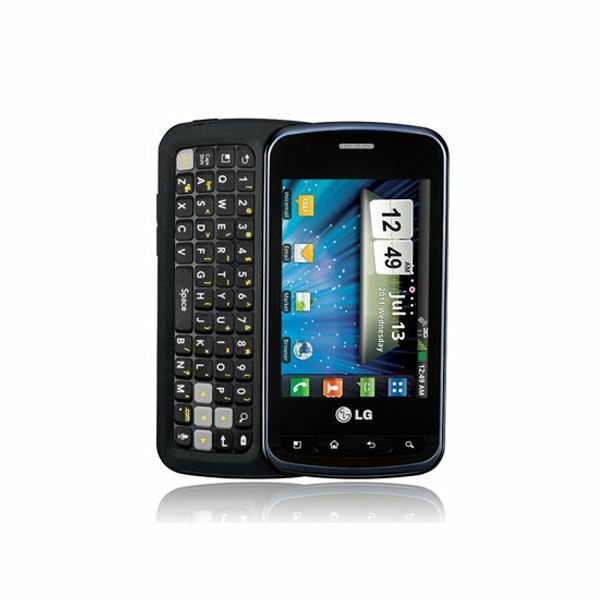 It actually seems like a delayed release of an LG Vortex with a keyboard attached. Even for the price that it is being offered at, it may be a better idea to wait until the next generation of mid-level smartphones is released, as the Enlighten is missing a lot of key upgrades that a mid-level smartphone should have, this late into the game. At the very least, a better camera or faster processor should have been included and it's unfortunate that this smartphone will most likely get lost in the shuffle.